There are neighbourhoods and commercial districts within Edmonton that have areas worthy of being recognized as historic or character areas. Protecting individual buildings has many merits, but occasionally their surrounding context changes as development occurs around them. 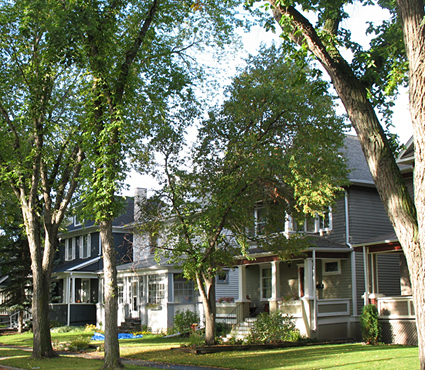 Sometimes it is the sum of buildings, rather than individual ones, that makes an area unique, such as the Alberta Avenue, Old Strathcona, Westmount and 96/Church Street areas. Many historic areas have not been recognized. There is a need to identify and recognize these areas and develop regulations, design briefs and urban design principles that will preserve and enhance the qualities that make the areas distinct.